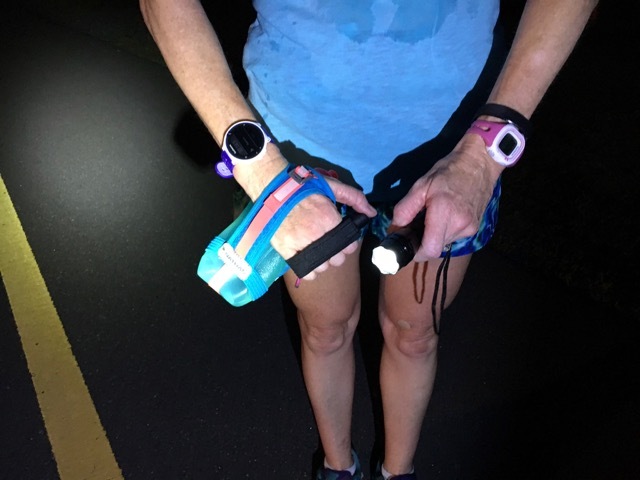 This week marked the second week of my Run Less Run Faster (affiliate link) training cycle for my OBX Half Marathon where I’m chasing a big goal of a half PR just in time for my 60th birthday. Unfortunately, I won’t move into the next age group until two days after my race, but that’s just the way it goes sometimes. I started my training week off in a big way on Sunday when I cross-trained on my bike with my husband Bill for 50 miles. I once ran a 50-mile ultramarathon, but that was my longest bike ride to date. The craziest thing is that I don’t wear padded shorts, I have a skinny bike saddle, and yet my behind doesn’t get sore – not even after 50 miles. Could it be all those lunges I do, or am I just some sort of freak? I love that I can ride with Bill even if I do slow him down… a lot. We both now have the itch for a biking event finishers’ medal, so I’m sure there’s some sort of bike race or fondo in our future. Perhaps even a century ride; because, why not? Anyway, my training plan called for two optional bike rides, both more of the interval type and lasting for around a half hour. Needless to say, my ride didn’t quite fit into the plan, but I’m here to enjoy life so I’m willing to go outside the training plan as long as my rides don’t exhaust me too much for my running. 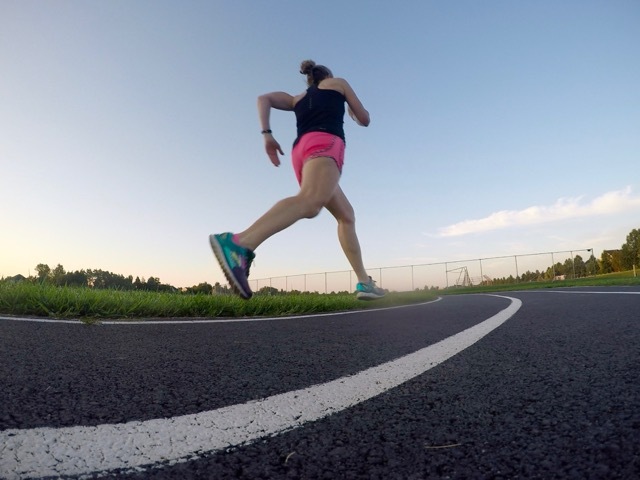 I loved Tuesday’s track repeats because I was joining 5 of my running friends and my schedule called for a pyramid of 400, 600, 800, 1200, 800, 600, 400 with 400-meter easy run recoveries and a 1-mile warm-up and 1-mile cool-down. My goal paces were between 7:19 and 7:35 (faster for the shorter repeats, slower for the longer repeats) and I was pretty much on target with the exception of the 600’s which I ran both a bit slower than my targeted pace – not intentionally, it just happened that way. 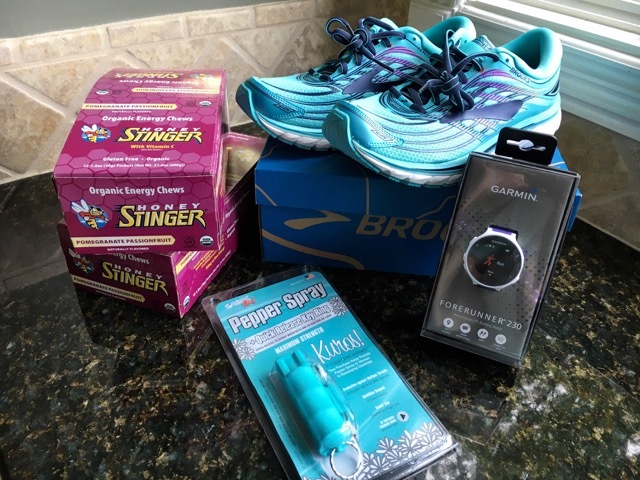 Tuesday afternoon my new Garmin Forerunner 230, pepper spray, Brooks Glycerine 15, and Honey Stinger chews (all affiliate links) arrived! I was so excited, but couldn’t play with any of them because I had to rush off to teach boot camp. Once home, I started charging my Garmin so could set it up before my next run. On Thursday morning I had to leave my house for my tempo run at 5 AM so I could get back home in time to get ready for a 7:30 client. 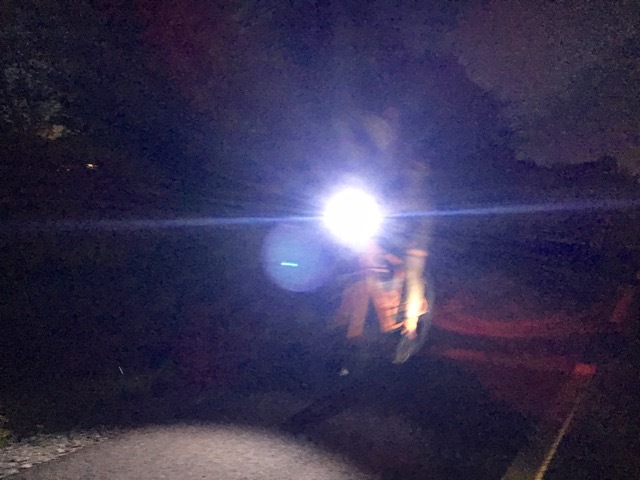 Since I was doing my warm-up on my run from my house to the trail and wouldn’t really be running with my friends (we were all running at our own tempo paces), Bill escorted me on his bike. Once on the trail, I told Bill that I was fine since my friends were at various points on the trail in front and behind me, but he stayed with me until it was completely light out and I was on my way home at a cool-down pace. It wasn’t until then that Bill took off at his usual riding pace to get his workout in – he’s a keeper. Because I was wearing my brand new Garmin, I wore my old one just in case I screwed up with the new one. I quickly realized how much I love the Forerunner 230 and wondered why it took me so long to update. Aside from the 1-mile warm-up and 1-mile cool-down, I was supposed to hit my 5 tempo miles at an 8:28 pace. I struggled a little and ran them at 8:47, 8:59, 8:43, 8:55, and 8:30. As I mentioned last week, I’ve struggled with getting my speed back to where it was ever since my February and April injuries, but I’m feeling stronger and know that as long as I stay healthy, it’s just a matter of time. Saturday morning’s long run called for 9 miles at an 11:01 pace. Friday evening while in a text conversation with some of my MRTT friends, I asked if anyone could join me for my Saturday morning run and was thrilled that Lupe and Tracy were available. I ran 6 miles with them and we saw Bill heading out for his 52-mile ride on the trail on our way back toward the parking lot. After dropping my girlfriends off, I headed back out for my final 3 miles. 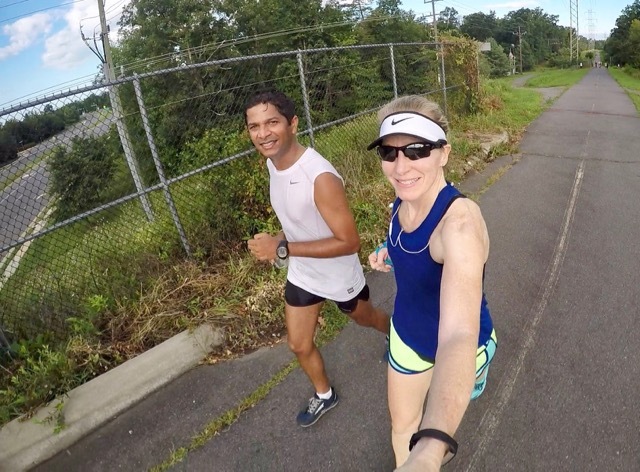 I saw my Cruiser friend Vamshi soon thereafter and turned to keep him company as he finished up his 15-miler. After dropping Vamshi off, I ran solo for my final mile. During my run, Mother Nature ushered in a cool crisp breeze and puffy white clouds. The air turned from slightly humid to crisp as it teased of September-like weather. I completed my run at a 10:26 pace, about a half minute faster than I was supposed to run. I’m very comfortable at that pace and will probably stick to it for my long runs throughout this training cycle. 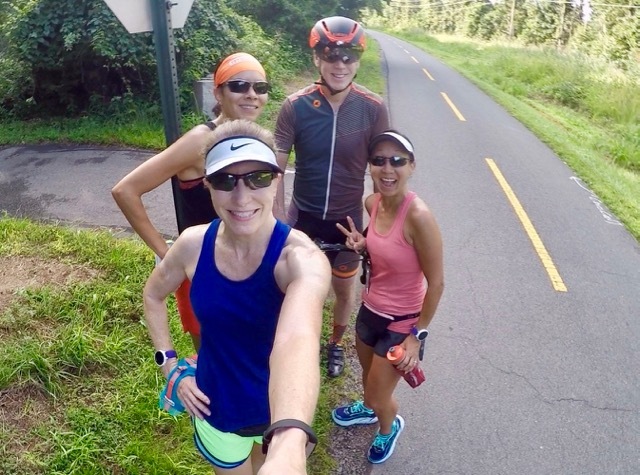 Looking ahead to this coming week on the blog, on Tuesday I plan to enjoy a little walk down memory lane as I talk about last week’s 50-mile bike ride past many spots on the W&OD Trail that the Cruisers and I ran many times during our marathon training runs. On Thursday I hope to follow up on my article, Six Camera Angles For Taking Interesting Running Photos, with a post about using interesting backdrops when taking pictures. Are you training for a race or big event? If so, what? Garmin users: Do you know how to turn off some of the smart notifications without turning them all off? ~ I want to see texts and weather alerts, but I don’t need to see every IG or FB notification while I’m out running. 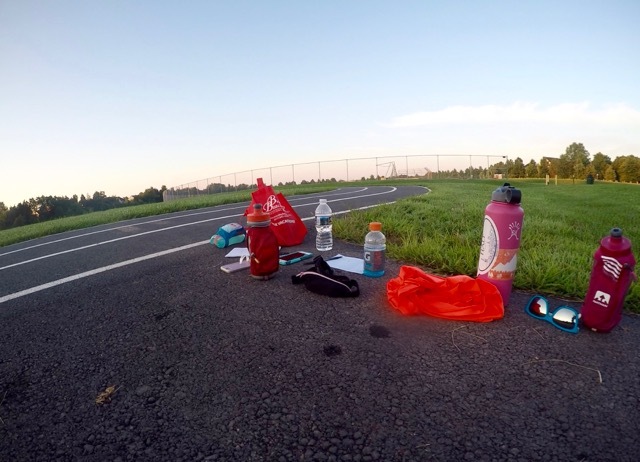 I’m also linking up with Courtney from Eat Pray Run DC for her Training Recap linkup. 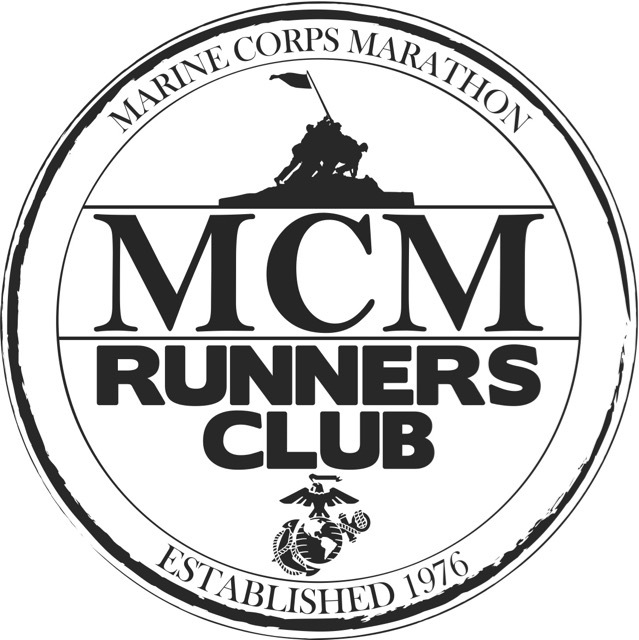 Be sure to check out how Courtney the other great bloggers joining the linkup are doing on their fall marathon and half marathon training. Great week of training! I love that Bill stayed with you for your early morning run – better to be safe!! You definitely had a great mail day! Glad to see that you are loving your new Garmin watch. I’ve had my Garmin watch for almost 2 years and I’m still totally in love with it! It’s good to hear that you still like your Garmin after two years. I’ve just got to figure out some of the fancy things it does and I’ll be good. I bet bill was happy for your company on that long run! My sister has that same Garmin and she does see the texts but she does not have FB and I doubt that she has IG linked. Can you just unlink it? I hope you enjoyed my post about taking pictures from different camera angles. My post for Thursday about using interesting backgrounds is almost finished so it should be good to go by then. Good luck with your speed work. Are you enjoying it? We are very fortunate indeed! We have 28 miles of mostly wooded trails within our community (one adjoins our back yard) and it’s only a mile via one of those trails to my beloved 44.5-mile long W&OD Trail. I don’t ever take them for granted and every visit to the farm and running on those narrow country roads reminds me of how lucky I am. “but I’m here to enjoy life” – best line ever! This is how I feel about most things these days. Love how you got to run with some many different people on your long run! I have a weird friction thing that happens when my shorts ride up and either my upper leg or the gripe-like stuff that holds the legs in place hits the saddle. The first time it happened I thought I’d ridden through a swarm of tiny bees that were stinging me! I’ve learned to pull my shorts legs down whenever I stop and will probably buy slightly longer bike shorts when I find some I like. I’m doing a Century Ride too for the same “why not?” reason. Like you, I don’t get saddle sore on an outdoor ride. Inside on the trainer? Holy moly. I love that you’re training to PR for your birthday. I bet Bill and I’ll be signing up for a century ride in the next year. 😀 When is yours? I do love your stats graphic each week. That is an excellent mail day! Hope to see you at a race soon, friend! 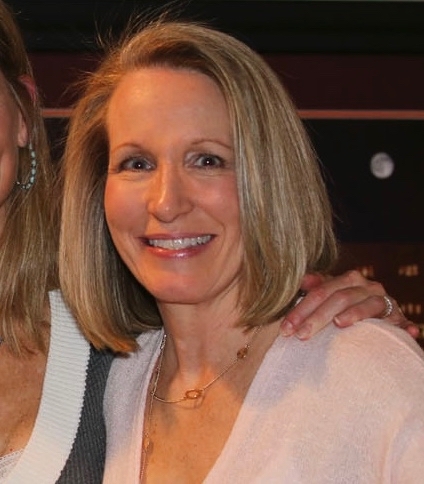 What a great week Deb! 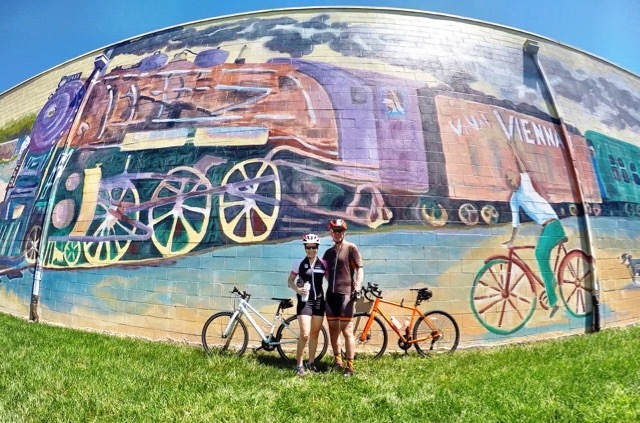 You really should consider a trip down south and join Holly and I on our Century ride! Speaking of …my behind really doesn’t bother me either on long rides but my shoulders do. It has gotten better since my most recent bike set up adjustment, but it’s still an issue. I love that Bill stayed with you until daybreak …that is exactly what my Hubs would’ve done too. So sweet! I’ve just recently started using Honey Stinger chews and really like them! Yes, my shoulders were really sore after my 50-mile ride, too. They weren’t nearly as sore yesterday after our 30-miler, but I’m sure it’s mostly because we didn’t ride as far. Perhaps I’m getting a little stronger and starting to get used to holding that position. There are some mornings that I wish my hubs was able to tag along on his bike with me on my runs. I’ve had some serious creepers in the past few years so I’m always on edge. Great week of workouts! Be careful out there! Do you carry pepper spray? It was so nice of your husband to stay with you through your run – that sounds like something my husband would do! While we may feel safe and able to take care of business if need be, it’s nice to have someone else concerned! Throughout your post, I was incredibly impressed with your photography so I was excited to see that you wrote a post about some of your photography tips – I will definitely check it out! Thanks for linking up! Heather recently posted…NAFHALF Training: Week 12 & Weekly Wrap! Thank you, Heather! My husband is a fantastic photographer and I’ve learned so much from him. 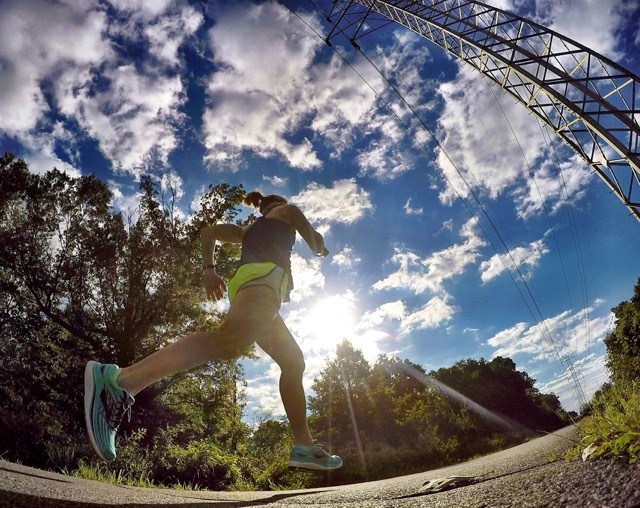 Having a GoPro certainly makes it easier to take quality pictures on the run. 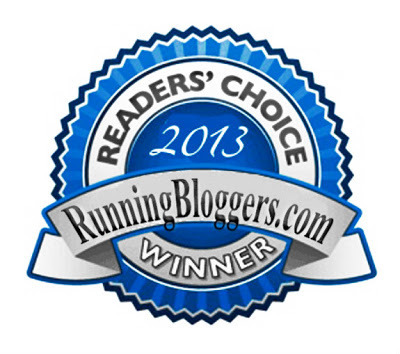 Check back on Thursday when my next post with additional tips for taking running pictures tips will be posted. Loving your weekly run-down. I think I’ll try to follow some of those tips as I begin my weight loss journey. Should work too I guess. Gained lots of weight after my pregnancy in 2017 and haven’t managed to lose it all. It’s really depressing!